On Friday, May 31st, 2013, Management Career Services will be hosting the annual All-Inclusive Career Success Workshop. This is an interactive 3-hour presentation filled with activities, discussions and live demos designed to help students successfully land a job. Great work Amani on being involved and building your resume! 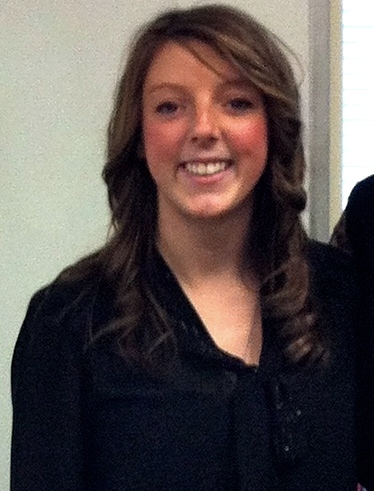 Third year Commerce Student, Kyli Lane has been involved in the Accounting Society since her first year in 2010. 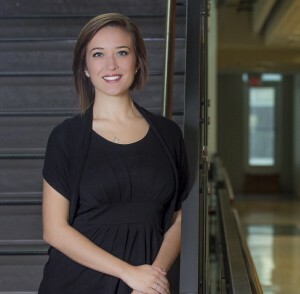 Since joining the Accounting Society she has taken on the role of President and has participated in several accounting events. The most significant event during her term was the Accounting Week Kick-off event, held the second week of September 2012. This event offered Kyli and other students an exciting opportunity to network with various employers and to make some valuable connections. 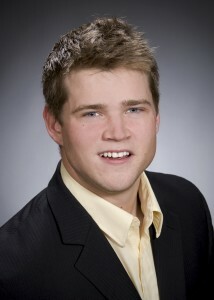 Fourth year Commerce Student, Darcy Plant pursued his entrepreneurial work term in the summer of 2012 as the owner and operator of Plant Fuels Inc. Darcy knew that an entrepreneurial work term would provide him with the opportunity to test run exciting business ideas and operate his own company. After performing some research in sustainability Darcy discovered a need for biodiesel production in Nova Scotia. His idea came to life during his entrepreneurial work term, where he started out in his own kitchen by building a small processor for making biodiesel fuel. He then supplied customers all around Nova Scotia. In celebration of National Co-op Education Week, Management Career Services is proud to announce 3rd year Commerce student, Melissa Mackie as the recipient of Dalhousie’s 2012 Co-op Student of the Year Award. Thus far Melissa has completed two work terms as part of her Commerce degree; firstly as a Human Resources Co-ordinator at LED Roadway Lighting Limited and secondly as a Marketing and Communications Intern at 2nd Act Innovations. It was Melissa’s supervisor, Leslie Flemming of 2nd Act Innovations who nominated Melissa for the award; but it was Melissa’s extensive volunteer experience that made her a recipient of Dalhousie’s Co-op Student of the Year Award. Melissa will now move forward to compete on a national-level, in hopes to be named the Canadian Association for Co-operative Education (CAFCE) Co-op Student of the Year. Congratulations Melissa! 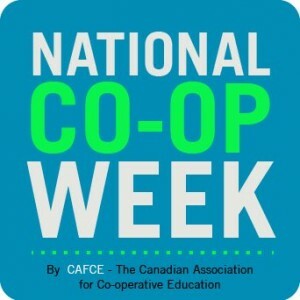 Next week, (March 18 – 22) marks National Co-op Education Week; a nationwide celebration presented by the Canadian Association for Co-operative Education (CAFCE). National Co-op Education Week allows us to recognize the learning opportunity and achievements made possible through a work term experience. During National Co-op Education Week, we invite you (students, alumni, staff, faculty and employer partners) to take pride in the 662 work terms our undergrad and graduate students held across Canada (and internationally) through 2012. Management Career Services is a proud to have advanced both students and organizations in reaching their career and business goals. We look forward to celebrating National Co-op Education Week next week and for years to come! 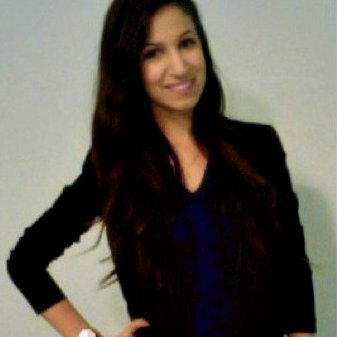 Fourth year Commerce student, Malissa Skara was hired by Ernst & Young for her first co-op work term in 2011. Being an extremely valuable work experience and impressed by her abilities, Ernst & Young continued to employ Malissa for her remaining two work terms. 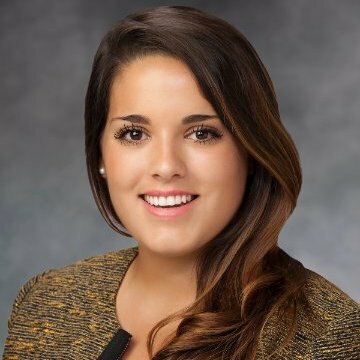 With an eye for retaining talent found among-st co-op student hires, Malissa has been offered a full-time position with Ernst & Young upon graduation. Each year Dalhousie’s Management Career Services (MCS) sends over 650 students on work terms with employer partners across Canada and internationally. Concluding the work term we ask each student if they’d like to nominate their employer for an appreciation award. Nominations are plentiful and all responses clearly identify their employer’s contributions to personal career development. After reviewing nominations, MCS is proud to announce PwC as the 2013 Employer of the Year. PwC has been an employer partner with Dalhousie University for over a decade. During this time, PwC has extended more than 84 four-month employment opportunities to students from Dalhousie’s Bachelor of Commerce program. Students are typically hired into auditing, as well as tax and advisory positions. Proving that students truly value their work experience with PwC, since 2004, more then 38 students have returned to PwC for two or more co-op work terms. Clearly PwC’s recruiting objective is to retain talent found amongst student hires, in hope that they will return to PwC upon graduation. Approximately 90% of those students who completed all three co-op work terms with PwC did indeed find full-time employment with PwC upon graduation. Participated as panelist / judges in the January, 2013 ‘You’re Hired’ Interview Competition. 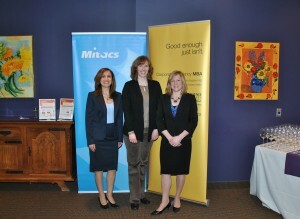 Sponsored and participated in the September, 2012 Accounting Kick-off Week. Participated as a guest speaker during career development workshops. Management Career Services would like to sincerely thank PwC for their ongoing support of the Dalhousie Commerce co-op program and their ongoing contributions to student’s overall career development. Congratulations PwC, the 2013 Employer of the Year!